Bansuri, a bamboo flute popular in India. To understand how to make a bamboo flute, you'll need to be aware of two basic numbers in flute making in order to make perfect homemade music. The numbers to know for how to make a flute with perfect tuning are; the linear measurement for how far sound travels per second, and; the number of Hertz (the vibratory frequency) of any particular notes you will have the flute play. But to correctly gauge the sound, first, we need to know how to make flute embouchures. For this example, we'll use a transverse (or "side-blown") flute. It's very simple - make the hole for this be about half the width of the bore diameter, and have the hole's center point be situated at one bore diameter's distance from the inside of the closed end. Bevel one edge on the inside at an acute angle for the best "airstream splitting edge". Okay, now for the numbers and how to use them in making our bamboo flute, and superb homemade music. The distance sound travels per second, at sea level, and at about 70 degrees F (or 21 degrees C), is 13526.5 inches (or 34357.31 centimeters). Now you take the frequency number of the note, which for this example we'll say the fundamental note will be "A", which would be 440, and divide the previous number by this one. What you will get is the length of one wavelength for this note, in this case, 30.74 inches, or 70.08 centimeters. How to make a flute body the correct length for this is now to divide this measurement by two, which would make it about 15 3/8 inches, or 35.04 centimeters. You'll find that due to other factors in flute making, such as bore diameter and flute body wall thickness, you may need to shorten this a little bit more to get the note precisely - do this a little at a time. Use this same formula to find out how to make flute finger-hole placements along the length according to the notes you wish them to play, and there you have it! If you'd like to learn more about how to make a bamboo flute, flutes of various types and varieties, or any homemade instruments of woodwinds, percussion instruments or strings with precision, feel free visit my website on how to make your own music with professional quality homemade musical instruments that you can make yourself, at http://rockfreakinsolid.com - these ain't your children's paper plate tambourines, shoebox and rubber band guitars, or butter bucket drums! Learn how to develop a great flute embouchure and you are well on your way to being a great flutist. Embouchure is a French term for the position of the lips and facial muscles used when producing a sound on a wind instrument. 1) The facial muscles and lips should be relaxed. A tight embouchure with the corners of the lips pulled back and lips stretched produces strain and stress, a puny sound, and tires the player quickly. Strained facial muscles inhibit the air from flowing freely out of the body. It's like putting your hand over a garden hose--the water is slowed down. a) Pout as if you are unhappy or angry. b) Imagine the corners of your mouth are reaching down to the floor. c) Roll your bottom lip out and try to hold a pencil with your bottom lip. a) You are holding a golf ball in your mouth. b) Your lower jaw is falling off your face onto the floor. c) Try to yawn with your lips closed. 3) Concentrate the strength and power in your abdominal area. That's where the airstream originates. You need a fast airstream pushed from the abdominal muscle up through your lungs and out the mouth. If your lips are strained, this gets in the way of that rushing air coming out and your tone is not nearly as vibrant as it could be. Keep these important elements in mind and you will develop a great flute embouchure. Kathy Ferneau is a flutist and teacher. Her online flute studio is http://www.cyberflute.com/ where you can get free flute lessons. The enjoyment of musical performance by both the performer and listener depends on several factors apart from the work being performed, two of these are the instruments tonal qualities and its tuning. The clarinet tone is dependent on the design and construction of the instrument, the clarinet reed and the skill of the player developed over many years of practice. Instrument design and construction has gradually been improved over the years and quality instruments are now capable of producing a very fine tone indeed, given a good quality instrument the bore of the Clarinet will affect the tone and this has become a fashion thing which has varied over the years, a slightly larger diameter bore will produce more of a mellow tone than a smaller bore which would be referred to as a bright sound, however, it must be recognized that the player has a great influence on the sound produced. Factors affecting tone are the air supply and how the player controls its flow into the instrument with the tongue together with the lips controlling the reed, a steady flow of air into the instrument is achieved by control from the diaphragm, I prefer to think of it as breathing into the instrument rather than blowing. A fine tone can only be developed by playing long sustained notes and slow tunes as part of the daily practice over the formative years, in fact, this aspect of practice should always be part of the daily routine. Clarinet tuning is, of course, a very important part of the player's activity, and yet it is an activity which is frequently misunderstood by conductors and players, modern quality clarinets have come a long way in this respect the over the past fifty years but we still see players setting up their instruments incorrectly. The availability of affordable electronic tuners certainly helps but the recognition of the correct procedure is frequently missing. The body of most common instrument pitched in B flat is made in five parts, starting at the top we have the mouthpiece, the barrel, the upper joint, the lower joint and the bell. At the end of the mouthpiece and the upper and lower joints cork covered tenon's push into the barrel and the bell, the method of tuning most frequently adopted is to warm up the instrument by playing for a few minutes, temperature will cause the pitch to rise, and then with the joints pushed together play B with all holes covered, this will be a little sharp, then pull out the barrel to lower the pitch to the correct level, unfortunately this approach will put some parts of the instruments range out of tune! The correct method of tuning is to start with all fingers off, this will give open G then adjust the barrel to bring G into tune, then play B with all holes covered and pull out the center joint to bring B into tune, a good instrument will then be in tune over most of its range, the highest register, above top C may need adjustment on some notes with the players embouchure. The willow flute is simple in design, as is the case with most flutes. 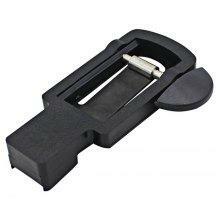 It differs from most others, however, in that it does not have any finger holes to manipulate the sound that it emits. It has a fipple mouthpiece, meaning that the air escapes from a small hole just below where the musician blows into the instrument. The willow flute is also known as a sallow flute and was created by the Scandinavians and was often used in their traditional folk music. It is certainly a unique instrument that has its own unique sound and one that has been around for a fairly long time. When the willow flute was first created, it was made out of the bark of willow trees and this is where its name came from. Today, this flute is often made out of plastic, like other types of flute such as the fife or recorder. When looking at how a willow or sallow flute is played, one might be curious at how one can alter the sound to create different notes. Most other flutes have either finger holes or holes with keys that would allow a musician to manipulate the sound made by the flute in order to make different notes. This particular flute, however, does not have any finger holes; instead, the musician alters the sound that is made by the willow or sallow flute by changing the amount of air they blow into the instrument. To be more exact, the musician alters the pressure of the air blown into the instrument. The sound is also changed by the musician covering or uncovering the end of the willow flute. Covering the end of the flute actually creates certain overtones while leaving the end of the flute open allows for a different set of overtones to be created. The willow or sallow flute is certainly unique in many different ways. First, its design is quite a difference from how other more typical flutes are created in that it does not have any finger holes drilled into the tube. It is also unique in the sound that it can create. While it may seem odd in how it is played in order to created different sounds, it is not an overly difficult instrument to learn. It can be quite challenging at first, but once someone gets used to it the instrument can be quite easy to play. It is not an overly expensive instrument and can be easier to acquire than other, more complicated instruments. It may not be the best for a beginner, but it can be an instrument that a more experienced musician might enjoy. It can be more difficult for someone who is new to playing music because it is not like playing a recorder or some other basic flute. A person playing this particular instrument has to have good control of their breathing in order to create the sounds that they want. Once this is mastered, the instrument can be quite rewarding in the music that it can allow one to create. Gemeinhardt is the world's largest exclusive maker of piccolos and flutes, making musical instruments for all level players from beginning students to professionals. Kurt Gemeinhardt was born in Germany and served as an apprentice to his father, also a flute maker. In fact, Kurt Gemeinhardt was a fourth generation flute maker. 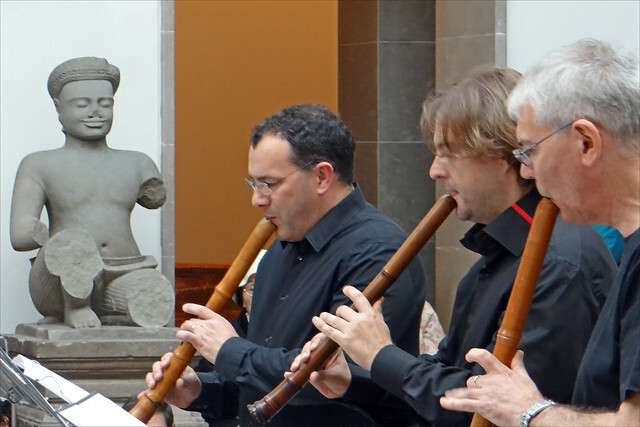 It is no wonder that Gemeinhardt has had a significant influence on the evolution of the flute in the 20th century. In 1928 Kurt moved to Elkhart, Indiana, America's mid-20th century capital for musical instrument production. In 1948 he opened his own manufacturing plant called The Gemeinhardt Company. Gemeinhardt specialized in all-silver flutes, and in 1952 the plant had to be expanded to accommodate orders. Later, Gemeinhardt also made entry level flutes and other intermediate models. In the late 1990s, Gemeinhardt acquired Roy Seaman Piccolo Company, which was famous for its handmade granadilla wood piccolos that are in demand from professionals the world over. Today, Gemeinhardt makes a range of flutes, including piccolos, student, intermediate, and professional flutes, bass flutes, and alto flutes. The company is now part of a parent organization, Gemstone Musical Instruments, also based in Elkhart Indiana. 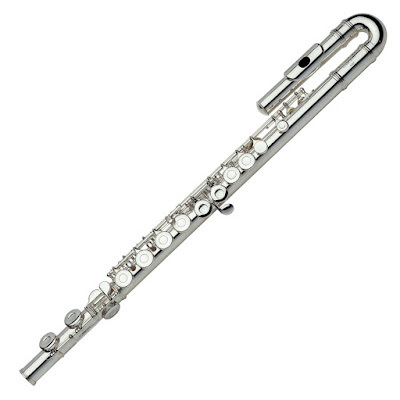 Gemstone makes and distributes every level flute under a variety of names, including Gemeinhardt, which has a long reputation as a company that makes excellent flutes with beautiful intonation. You can still occasionally find a hand-crafted Gemeinhardt flute from the 1960s - some of them made by Kurt Gemeinhardt himself. These are amazing instruments, many of which feature an open hole design, which allows for a richer, more lush tone. Anyone lucky enough to find a solid silver open hole flute from the 1960s will pay several thousand dollars for it, but in addition to its inherent quality and craftsmanship, it will have a long history to go with it, and might just have been held in the hands of the great Kurt Gemeinhardt himself. One of the weakest points on the flute is where the foot joint joins the body. This is called the lower tenon and can be easily damaged. The foot joint can become loose and cause air leakage and loss of sound or become to tight and be very difficult to remove or put on. This can lead to numerous problems. The fact is that the foot joint is long, almost 6 inches in some cases, and the tendon that supports its weight is only half an inch long. Supporting that much weight and length as well as being constantly put under the pressure of the keys being pushed down can tend to take it's toll if not maintained. Like the body of the flute, the foot joint keys, springs and pads have to be maintained. Replacing, leveling, and seating all have to be done in order to have the keys seal correctly and thus allow the lower notes to play. Almost all of the keys of the flute work in conjunction with one or more other keys. This means that when you press down on one key it may also cause one or more other keys to be pressed down at the same time. These keys have to be regulated so that when it is required that two or more keys close at the same time, it has to be the same time or you will have loss of sound and the flute won't play. Regulating the keys so that they work in this fashion is probably the most vital repair of the instrument. It requires a delicate balance of bending and leveling the keys as well as seating the pads better and adjusting spring tensions. Clarinet with a Boehm System. For the most part, I loved my childhood. I loved growing up in a house full of brothers and sisters. I always had a playmate and there was never a dull moment. We had a great family time and my mother was the most amazing cook. We all had to take lessons of all kinds from the time we were really young. I remember being forced into trying piano and clarinet from around the time I started elementary school. At first, I was quite excited about the piano and quite hesitant about learning the clarinet. My feelings changed rather quickly, however, when I began showing a natural talent for the clarinet. I had trouble mastering the ivories of the piano and my mouth and fingers just naturally worked together on the clarinet in a way that my mom said sounded just like magic. I think she might have said that simply because she wanted to inspire me to stick with the instrument for her own listening pleasure. I'm not exactly sure when it happened, but eventually, I came to enjoy playing the clarinet as much as my mother loved hearing me play. I guess I liked it because it was the one way I stood out from among my siblings. In a large family, I had to take any opportunity I could get to stand out and make a name for myself. The clarinet was my opportunity and I grabbed ahold of it with all I could. I signed up for private lessons after school and I became a part of every local band and orchestra that would accept me. I guess my perfectionism was evident even from these early years. All of my hard work paid off when I was offered a scholarship to a well-known music conservatory where I went for three years after high school. My parents could not be more proud of me, except I think they were a little concerned that I would not make a career out of clarinet and would be stuck poor and leaning on them. My time in the conservatory led me to get a master's in music education and I have found my calling as a teacher of clarinet at a local university. It is my privilege to use my love for the clarinet and my talents to help other students achieve their dreams with the clarinet as well. So follow your dreams, whatever they are. For me, it was the clarinet. I'm so glad that I grew up playing it. The first thing that a new clarinet player should learn is to put together their instrument properly, and how to hold it. One of the important things when putting a clarinet together is not to force any part into another, and that the side lever is up when the lower and upper parts are put together, otherwise bent keys could be the result. This type of care should be extended to all parts of the clarinet - while it is inevitable that reeds will eventually split, they will last longer with careful care. 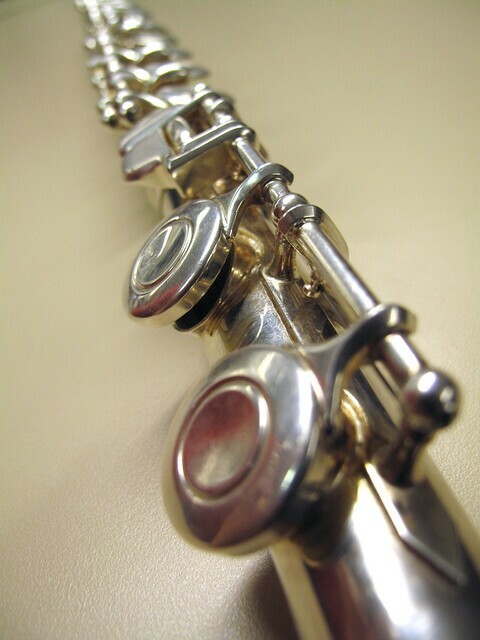 The clarinet itself will last longer and have less need for repair if it is looked after properly, which includes cleaning after each time it is played and being put in its case properly. One of the most difficult things for the beginning clarinetist is getting the embouchure correct. The embouchure is how the lips are shaped to hold the mouthpiece and create the correct vibration of the reed. Make sure that the bottom teeth are covered by the bottom lip and that the top teeth are touching the mouthpiece, but not clamping down too tight. It is normal for beginner clarinet players to have a lot of squeaking! As you continue to learn and practice, this annoying part of beginner clarinet playing should disappear. World copyright Marc Hofkens and Cosblad Publications NV. Do You Want to Learn the CLARINET? The clarinet is the second highest sounding instrument of the woodwind family which consists of flute, clarinet, oboe, and bassoon. It was invented by Johann Denner around 1690 and in the 1800's Klose adapted the Boehm flute system to the clarinet making it playing in all keys. It came into general use around the time of Mozart and beyond. Here is some information to help you decide if you want to learn the clarinet. 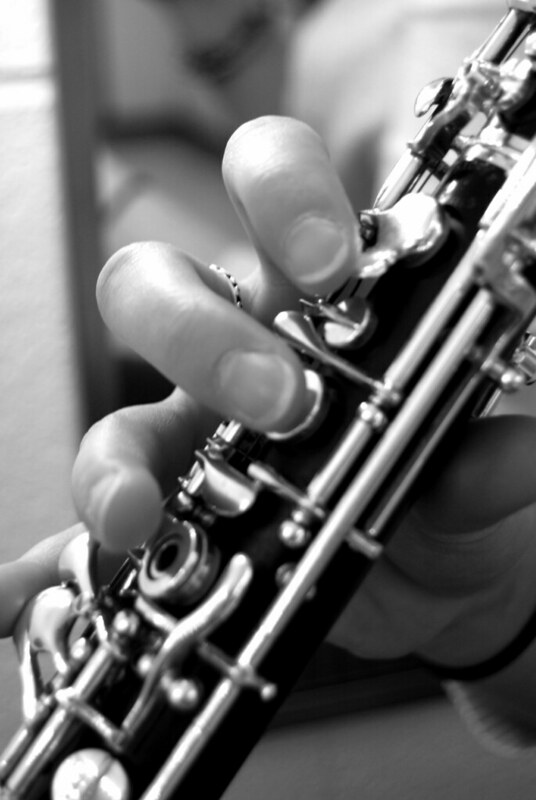 The clarinet has been made from a variety of materials including wood, plastic, hard rubber, metal, resin, and ivory. Grenada is a popular material used by professional musicians and most modern inexpensive clarinets are made form resonite ( plastic resin ). It looks like a long cylindrical tube with keys down the length of the tube covered by keys. The upper end is shaped like a mouthpiece and the lower end opens out like a bell shape. One side of the mouthpiece is flattened to allow the single reed made up of a single piece of cane to be fixed to it. Clarinet players hold the instrument in front of them and produce a sound by blowing through the single reed on the mouthpiece, thus making the reed vibrate against the mouthpiece. The various sounds are created when the player presses down the keys and hinged rings such that movable pads cover the holes, in different configurations or finger patterns. The clarinet produces a mellow tone with a brilliant upper sound. The range of notes the clarinet can produce is over three octaves from E below middle C on the piano upwards to a C three octaves higher. There are more than twelve types of clarinet with varying sizes and pitches, hence they make up the clarinet family. Many are rare or obsolete. 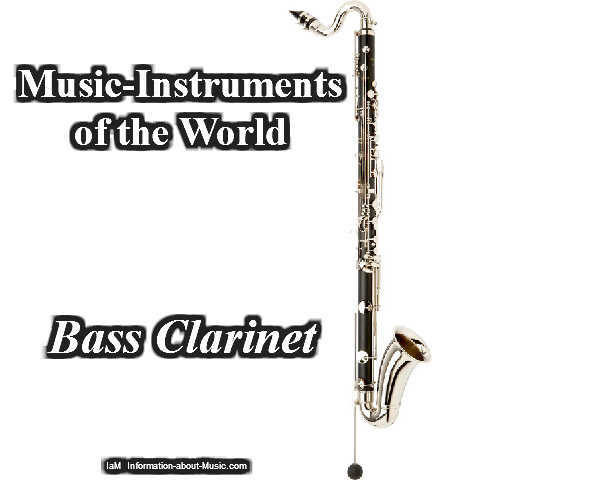 The most common ones used today are the clarinet in Bb and clarinet in A. Both are used in orchestras depending on the key of the piece. Clarinets are used in jazz and classical ensembles eg the orchestra, concert bands, in chamber groups, and as a solo instrument. They are rarely used in rock or pop music. There are usually two to three clarinet players in an orchestra each having different parts and changing between the clarinet in A and clarinet in Bb. A popular chamber group which the oboe takes part in is the wind quartet which consists of 1 flute, 1 clarinet, 1 oboe, 1 bassoon, 1 french horn. And it is combined with other instruments in various groupings. Some famous clarinet players include Benny Goodman, Artie Shaw, Woody Herman, Sabine Meyer, Julian Bliss, Richard Stoltzman. 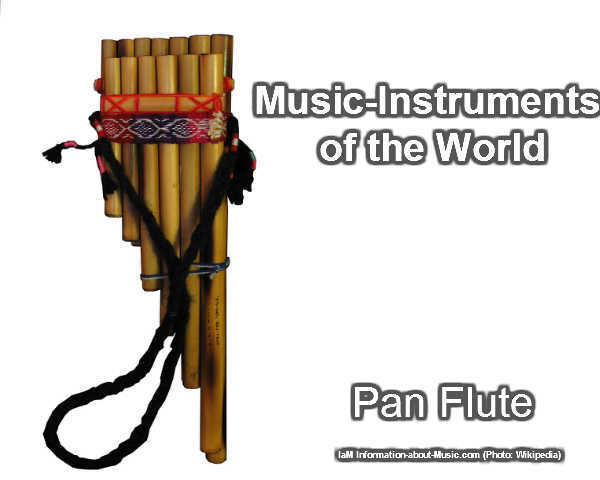 One of the many materials used to create the musical instruments known as flutes is bamboo. This is a tradition that stems back to the early generations of Australia and the Aborigines. The Chinese are also well known for using bamboo to create flutes but they are believed to have been directly influenced by those found in Australia. Each of the flutes was hand carved from sticks of bamboo and then holes were placed in them for the fingers. A location towards the top of it was for the person to blow air into. The way the fingers covered up the holes was what determined what sounds that the flute produced. This is very similar to what most people know as a recorder. Bamboo flutes can be good for children to learn on too before they move on to more advanced models. Today you can buy bamboo flutes to play as well but you need to be patient in getting on. Each of them is made custom and it can take up to six months before you order will be processed. Yet you will end up with a flute that is original and that you can make music with. They are also very beautiful so you will want to display it when you can for others to see. Most bamboo flutes don’t have all of the musical ranges with them though. You can get them custom made with particular keys in place though. The majority of bamboo flutes out there though are in D minor. They also feature seven holes for the fingers to cover. You will definitely notice a different sound coming from a bamboo flute though. It is a very low and deep sound that is interesting. It is quite different though from the soft sound you get with a nickel flute. Bamboo flutes often run a couple of hundred dollars due to the amount of detail that goes into the workmanship. Many of them are imported from other countries too. You can find them online as well as listen to the various sounds they offer. For those that enjoy the flute, this can be a great item to add to the mix. Now the body of the flute is quite intricate. There are 18 keys on the body of a C flute. The number of springs can vary somewhat but it is around 13 give or take. The springs can be made of steel or copper or bronze. Steel is the best and easiest to work on. They have to be adjusted for the right strength. They can be too weak, which can cause closing problems and leaks. Also, they can be too strong which can cause the same problem. You have to get a feel for the exact strength and that can vary from flute to flute. Some springs need to be replaced and that in itself can be very tedious indeed. Also, for the first while, as a beginner in flute repair you stab yourself with these little springs and it really hurts to put it mildly! The pads also need to be taken care of and need to be replaced or reseated. They are made of felt and covered with 2 layers of fish bladder. I have no idea why they use fish bladder. Pads can get torn or punctured or just plain worn out. They are vital and cannot leak or the flute will lose some or all of it's volume. Pad replacement is time consuming. Each ad is held in with a tiny screw and washer or a nylon snap. They vary in size and thickness. Once you have put them in you have to iron them and reseat them so that they will seal completely. To reseat them you have to wet them with alcohol and then clamp each key and pad, then heat them and if possible leave them overnight. It's not always possible to leave them overnight so I tend to put them in a pad oven and cook them for a couple of hours. This helps make the flute seal air tight when being played. Next is to balance and regulate the keys with their newly seated pads.